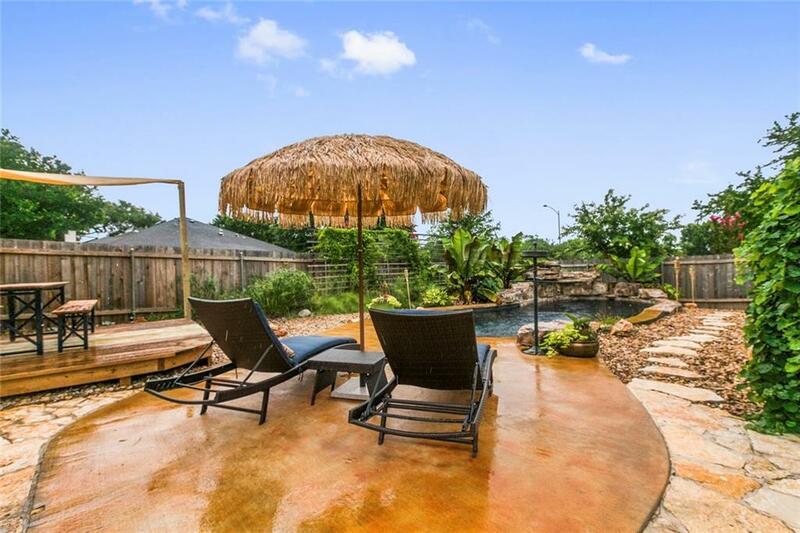 We all know that Summer is peak season for home selling, but it’s also the prime time for vacations, BBQ's, city-wide events and lazy days lounging by the pool. It’s safe to say that there are quite a few distractions out there this summer that could distract potential buyers. And don’t forget about that brutal Texas heat that could stop even the most diligent buyers from leaving their homes. If you’re eager to get your home sold before the Summer is up, I AM YOUR GUY!! I've gathered the hottest tips for selling your home this Summer so, before you let the heat defeat you, check out these seven tactics that will get the buyers out of this heat wave, and into your home! One of the first things you should do when selling your home in the Summer is to depersonalize and declutter. Simple, yet so effective. If you decide to tidy up your home quite a bit, you’re already at an advantage over other sellers who decide not to. Family photos, drawings on the fridge and other personal items over the home can distract the buyer from actually viewing the home. Decluttering and depersonalizing is one of the best, easiest and cheapest tips for selling your home. Clearing all counters and removing the bigger items is a great way to show off that fancy countertop and it's great space. One of the biggest design trends this Summer is outdoor living spaces. Essentially, you’re bringing the inside of your home – out. Highlighting the outdoors is a perfect way to impress buyers, especially in the Summer! Help the buyer envision themselves relaxing in this space. Paint the scene for them: it’s a warm summer night; the stars are out; there's a couple of burgers on the grill; a cool breeze is blowing through the trees; they’re lounging on the patio with a good book and glass of wine. If your home has an awesome outdoor living space, such as an outdoor BBQ, fire pit or large patio – be sure it’s staged and you highlight it during your open house! You want to make sure your curb appeal is on point when selling your home in the summer. Is the grass green? Are flowers planted? These are a couple of things you should consider when putting your home on the market. Plants, inside and outside, are easy and effective ways to brighten up the place. They bring life to every room and plants, such as succulents, are definitely trending right now. Don't be shy when it comes to adding greenery every room - indoor and out! We all know how brutal the Texas heat can be in the Summer. One of the most crucial tips for selling your home in the summer is to KEEP. THE. HOME. COOL! I can’t stress it enough – nothing turns a buyer off more than when they go to tour a home in the Summer and it’s the same temperature inside the house as it is outside. Yikes. When you’re expecting a potential buyer to tour your home, make sure you’re cranking the AC so the home is cool and comfortable. Turn on all the ceiling fans and keep the lights off and blinds drawn prior to showings. But don’t forget to turn all the lights back on and open the blinds when people get there. No one wants to tour a dark cave-like home. Choosing the right Realtor - ME - really has the power to make or break the home-selling process. When selling your home in the Summer, or any season for that matter, having the right Realtor in your corner can make a huge difference. I have the knowledge and the experience to guide you in the right direction to get you the most amount of money in the shortest time!! Which sounds more fun – a BBQ or an open house? Yeah, I'm going to go with BBQ. If you want people to tour your home, advertise it as a BBQ instead of an open house. It will grab a lot more attention. Even though it’s technically still an open house, make it feel like a fun summer gathering/celebration rather than a sales pitch. Set out pitchers of lemonade and sweet tea, and keep simple finger foods, like sliders, on deck. Buyers are probably hot and sticky after hopping in and out of their car all day from touring homes. There’s nothing better than a pitcher of ice cold lemonade on a hot Summer afternoon. So, break out the lemons and get squeezing! Make yourself stand apart. A little gesture, such as ice-cold lemonade, will keep your visitors happy. Don’t forget – the longer potential buyers hang in your home, the more they will remember it and feel emotionally attached to it. And the more emotionally attached they are to it - the more likely they're going to want to buy it. Last updated April 24 at 9:35 pm.